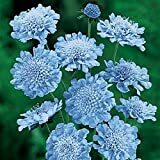 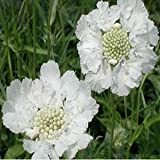 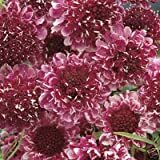 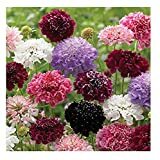 Pincushion flower growing herbaceous of the genus Scabiosa also known as Pincushion flowers, Pincushion flower perennial evergreen or annual used as ornamental cut flower and attract pollinator plant, can grow in subtropics, mediterranean, desert or temperate climate 3-11. 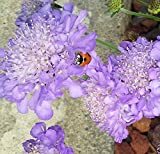 Leaves color green lobed shape little hairy. 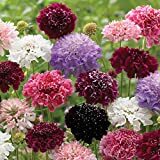 Flower color can be: pink, red, purple, blue, white or almost black, the flower small and grow inflorescences in umbrella shape.